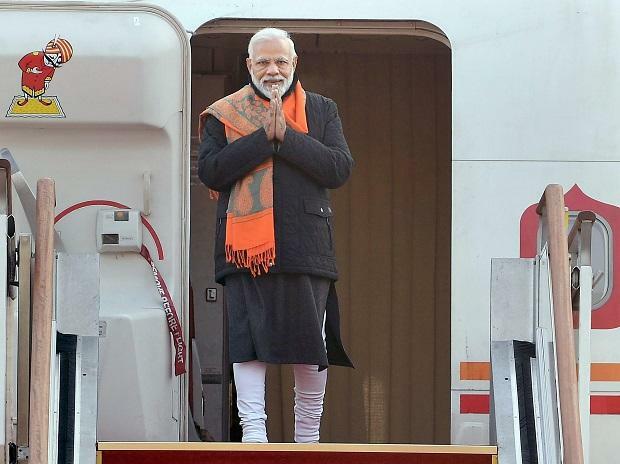 As Prime Minister (PM) Narendra Modi starts his two-day visit to South Korea for a second bilateral summit in less than a year, there is a lot on his and India’s agenda. Tomorrow, Modi will be conferred the prestigious Seoul Peace Prize 2018 for his contribution to global growth, human development and international cooperation. Modi joins the league of world leaders like Angela Merkel, Kofi Annan, Ban Ki Moon and Vaclav Havel as recipients of the prize, started in 1990. Much of the action on the negotiations front will take place tomorrow, when Modi takes forward the agenda set during South Korean President Moon Jae-In’s state visit to India in July 2018. India and South Korea had inked 11 memoranda of understandings (MoUs) during President Moon’s last visit – nine of which related to deepening trade relations, cooperation in the fields of technology, science, telecommunications, infrastructure and boosting investments. The opening of the world’s largest mobile phone manufacturing factory in Noida by South Korea’s largest chaebol Samsung last year enhanced that nation’s profile in India, but there is still a long way to go in order to boost trade and investment between New Delhi and Seoul. Trade between the two nations stood at around $21 billion in 2017-18, comprising 2.7 per cent of India’s global trade. While India’s exports to South Korea stood at $4.5 billion, its imports were a little over $16 billion. India’s imports from South Korea have increased 21 per cent since the Modi government came to power in 2014-15, while its exports have declined three per cent. More than half of all Indian exports to South Korea comprised mineral fuels, aluminium, iron, steel and organic chemicals. India’s largest import from South Korea was electronics worth $2.7 billion in 2017-18. Other significant imports include manufacturing equipment, plastics, iron, steel and semi-precious stones. Trade with India also comprises a small portion of South Korea’s global annual trade, estimated by the Wold Trade Organization (WTO) at over $1 trillion. South Korea, the world’s 11th-largest economy with a gross domestic product (GDP) of $1.6 trillion, is also a small contributor to foreign direct investment (FDI) into India. During the period from April 2000 to December 2018, South Korea has accounted for less than one per cent of all FDI equity flows into India. In 2017-18, FDI from South Korea stood at $293 million – having doubled since the Modi government came to power in 2014-15. Reserve Bank of India’s (RBI) statistics show that FDI from South Korea declined 59 per cent in 2017-18 from the previous year. In 2018-19 (till December 2018), South Korea did not even figure in the list of top 10 nations accounting for the bulk of FDI equity inflows into India. The last nation on this list was the United Arab Emirates (UAE), with FDI equity inflows of almost $300 million. While it may be too early to gauge the investment and trade benefits of the slew of agreements signed between the two nations during the July 2018 summit in New Delhi, recent trade and bilateral investments do not inspire much confidence. After becoming PM, Modi had visited South Korea in May 2015 at the invitation of then South Korean president Park Geun-hye. The bilateral relations between the two nations were upgraded to ‘special strategic partnership’ during Modi’s 2015 visit. More than trade, South Korea has lately been more visible in the cultural realm in India. This has in many ways helped Modi’s Bharatiya Janata Party (BJP) shape a political narrative hinging on its ideological inclinations domestically. In November 2018, South Korea’s first lady Kim-Jung Sook was in Ayodhya as part of the Yogi Adityanath administration’s grand Diwali festivities. The town of Ayodhya, especially the banks of the Sarayu river, were decked up (witnessed by this correspondent) for the occasion. Sook’s visit was in pursuance of an MoU signed between the two nations during the July 2018 summit to expand the existing monument commemorating Queen Suriratna (Queen Hur Hwang-ok) in Ayodhya. Many Koreans trace their ancestry to Queen Suriratna and believe that she came to Korea in 48 AD from Ayodhya to marry King Kim-Suro. Adityanath had also used the occasion to project his plans for building a 151-metre statue of Lord Ram in Ayodhya. On his current visit, Modi will reciprocate the South Korean first lady’s Ayodhya gesture by meeting the mayor of the city of Kimhae and gifting the people of the South Korean city a sapling of the Bodhi tree. Kimhae is believed to be the city where Queen Suriratna arrived from Ayodhya. Modi and Moon have also shared a personal bond after the latter became South Korean President in 2017 following Geun-hye’s impeachment. Before the first lady’s Ayodhya visit, Modi had sent across his trademark jackets to Moon. The South Korean President took to social media to thank the Indian PM for gifting him ‘Modi jackets’. This caused considerable heartburn among some Congress leaders and supporters back in India who labelled the vests gifted by Modi to Moon as ‘Nehru jackets’.